Friday is traditionally pizza night at our house. Sometimes we throw together individual homemade pizzas, but a majority of the time we phone in our favorite delivery. This Friday, instead of picking up the phone, I think I will pull out my panini maker and try out these cheesy grilled pizza sandwiches. They look yummy and so easy to make. A lot easier than making homemade pizza dough anyways. 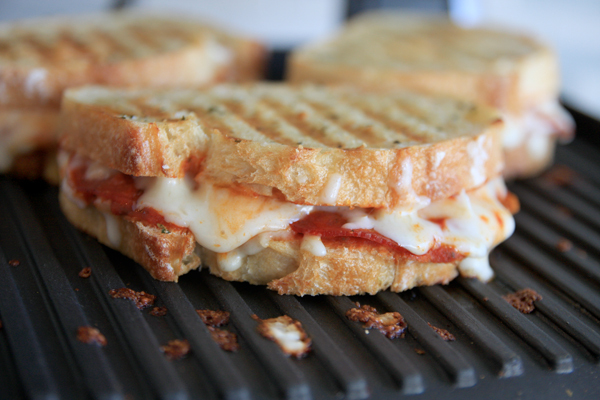 You can check out how to make grilled pizza sandwiches over at Our Best Bites. Oh dear. This looks like trouble!